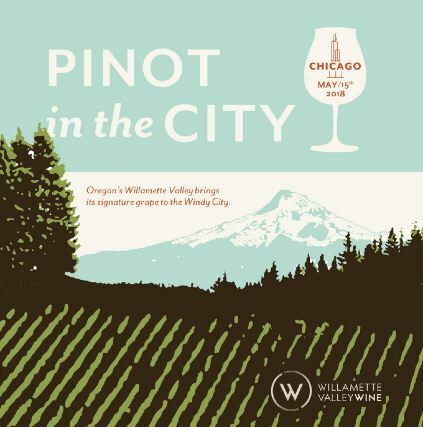 Pinot in the City On May 15, 2018, 70 wineries from Oregon’s Willamette Valley are heading to Chicago for Pinot in the City. The evening tasting at Morgan Manufacturing is from 6:30 p.m. to 9:00 p.m. VIP access begins at 5:30 p.m. Owners and winemakers will be pouring a selection of both current releases and library wines, including Pinot Noir, Pinot Gris, Pinot Blanc, Chardonnay and sparkling wines. A trade tasting will be held the same day. More information at wwww.willamettewines.com/event/pinot-in-the-city/.Tickets at www.eventbrite.com/e/pinot-in-the-city-chicago-tickets-42600730933?. Taste of Sonoma Superb local wines and outstanding chefs at the Taste of Sonoma, September 1, 2018, at Green Music Center at Sonoma State University. Exclusive pre-sale tickets now available featuring ticket discounts and special benefits for Visa Signature® and Visa Infinite® cardholders. General admission sales open May 14, 2018. Visit www.TasteofSonoma.com. Record-Breaking Sonoma County Barrel Auction A record-setting $840,700 was raised at the Fourth Annual Sonoma County Barrel Auction at MacMurray Vineyards, April 20, 2018, attended by a crowd of 500 trade people. The top-earning lot of the day and the top-selling red wine lot was one of two special 20- case “Sonoma Rising” barrel lots benefitting the Sonoma County Vintners Emergency Relief Fund. 2017 Sonoma Rising “Resilience,” produced with fruit from the Russian River Valley and Sonoma Coast and crafted by winemakers at AldenAlli, Arista Winery, Benovia Winery and Williams Selyem, was sold for $70,000 ($3,500 per case). 2017 “A Perfect Pair” Sonoma Coast Pinot Noir, made by winemakers at Benovia Winery and AldenAlli, fetched $2,600 per case. North Coast Wine & Food Festival The 2018 Press Democrat North Coast Wine & Food Festival will be held Saturday, June 9, 2018, at SOMO Village in Rohnert Park. The event features the top wines from the Press Democrat North Coast Wine Challenge. VIP tickets $135 per person, tasting $95 per person. 90 Gold Medal Wines, 18 iconic wine country chefs, music, and ongoing programs hosted by celebrity chef John Ash. Visit www.nothcoastwineandfood.com. Antica Terra + Lillian Announce 2018 Vineyard Lunch Series Lunch will be served from 12:00 p.m. to 3:00 p.m. under old oak trees, among the vines of the Antica Terra Estate Vineyard. Chef Timothy Wastell will prepare the meal accompanied by a thoughtful curation of wines. Only ten seats at the table for each date: July 14 and 21, August 8, 11 and 25, and September 9. Tickets will be available to mailing list members on April 24 at a pre-sale price of $100 per person. Sales will be open to the general public on May 1 at $125 per person. For inquiries, contact Miranda Bradeen at mb@anticaterra.com. Red Car Winery Owner & Winemaker Carroll Kemp Moves to Alma Fria Almost twenty years ago, Carroll left his producing career in Hollywood and became a winemaker. He founded Red Car along with his good friend Mark Estrin and investors. Mark passed away tragically in 2005, a year after the pair became full-time Red Car employees. In 2010, Carroll relocated Red Car to Western Sonoma County to focus on the kind of Pinot Noir and Chardonnay that enthralled him. He was able to grow almost all the fruit used in the Red Car wines. Although Red Car became highly successful, Carroll found another chapter beckoning. He is joining with a good friend, Jan Holtermann, who founded Alma Fria, a producer of Pinot and Chardonnay from West Sonoma Coast vineyards. Jan and Carroll discovered a vineyard near Annapolis and the vines there are now known as the Holtermann Vineyard, the winery’s estate vineyard. Jan invited Carroll to make Alma Fria’s wines from the inception. Today, Carroll is Jan’s partner and Alma Fria is Carroll’s future. 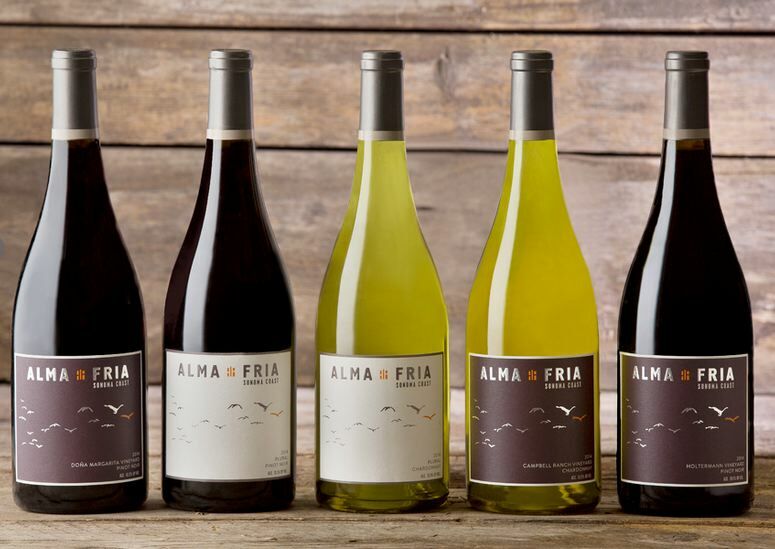 Alma Fria wines have been reviewed very favorably in the past: www.princeofpinot.com/winery/2424/. Book on Robert Lawrence Balzer Christine Graham, a Contributing Editor to The Underground Wineletter has just published a book on wine icon Robert Lawrence Balzer, Hollywood and Wine - A Star- Studded Life: The Robert Lawrence Balzer Story. Balzer had been working on his autobiography prior to his death at age 98 in 2011. Graham agreed to complete the book, relying on his copious notes, articles, books and journals. Balzer was a 20th Century Renaissance man: Hollywood celebrity, Buddhist monk, fancy grocer, wine educator, bon vivant, restaurateur, chef, actor, author, pilot, poet, painter, photographer, dancer, world traveler, philanthropist, radio personality and visionary. Some of his closest friends included President Ronald Reagan, Robert Mondavi, Greta Garbo, Wolfgang Puck, Paul Bocuse, Lalou Bize Leroy, and Claude Taittinger. The book includes photographs of both the early days of Hollywood and the early days of the California wine industry. The books is available on Amazon as a Kindle ebook. 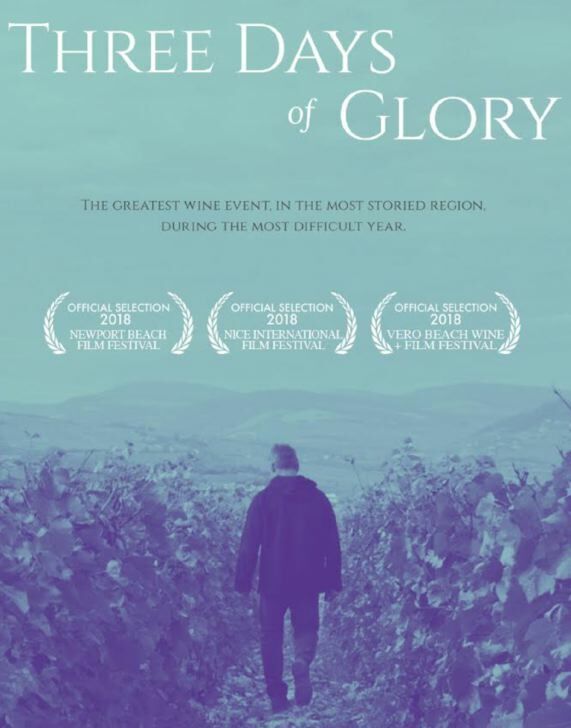 Burgundy Documentary Debuts ‘Three Days of Glory’ is a full-length documentary film about the greatest wine events, in the most storied region, during the most difficult year of 2016. The film, by Scott Wright of Caveau Selections (importers of Burgundy and grower Champagne based in Portland, Oregon), and filmmaker David Baker, was filmed on location in Burgundy, taking the viewer through the frost-ravaged 2016 vintage through the eyes of the vignerons who lived it. The film provides a true insider’s look into Burgundy, featuring Veronique Drouhin, Dominique Lafon, Caroline Parent-Gros, Aubert De Villaine and Allen Meadows. For the first time ever on film, viewers will see the behind-the-scenes workings of the famous celebrations La Paulée de Meursault, the Hospices de Beaune auction, and the feast of the Confrèrie des Chevaliers du Tastevin at the Chateau de Vougeot, as well as the harsh economic realities and climate change challenges facing one of the world’s great treasures. The World Premiere will be Sunday, April 29, as part of the Newport Beach Film Festival and the Napa Valley Premiere will be the following day in St. Helena. Further showings are planned, including the Nice International Film Festival in France. UPDATE: I attended the World Premiere on April 29. The movie is captivating and tugs at the heart as the challenges facing Burgundy’s continuing existence are revealed. Interviews with notable vignerons and Allen Meadows are poignant and insightful. More about the documentary at www.threedaysofglory.com. Also, visit Caveau Selections at www.caveauselections.com. Although you may associate Burgundy and Champagne with out-of-reach prices, most of Scott Wright’s offerings are carefully vetted and focus on the affordable range of $24-$75 per bottle. The Pinot Noir Programme New Zealand’s Ministry of Business, Innovation & Employment and New Zealand Winegrowers have co-funded research to find effective and practical ways of breaking the quality productivity seesaw of Pinot Noir. To continue to drive export growth, crucial for Pinot Noir production, the study will look to find the understanding of how to consistently produce high-quality wine at a price point acceptable to the customer while simultaneously increasing both yield and quality in Pinot Noir. Read more about this: https://www.ruralnewsgroup.co.nz/wine-grower/wg-general-news/researching-pinot-noir. Sangiacomo Family Introduces Estate Wines The third generation of the Sangiacomo family has launched a series of wines from their estate vineyards located in Carneros, Napa and the Sonoma Coast. Vittorio and Maria Sangiacomo staked the family’s flag in Sonoma with the purchase of the Home Ranch, a 52-acre fruit tree ranch in 1927. The family’s next generation of Angelo, Buck, Lorraine and Bob Sangiacomo carried on the legacy by growing the apple and pear business and converting to premium grape vineyards in the late 1960s. The Sangiacomo holdings have grown to 1,600 estate acres in Napa and Sonoma. The wines include Sonoma Coast AVA Pinot Noir and Chardonnay, single vineyard designated Green Acres Vineyard Sonoma Coast Chardonnay, Home Ranch Carneros Chardonnay, Roberts Road Vineyard Sonoma Coast Pinot Noir, and Oakview Vineyard Napa Valley Cabernet Sauvignon, and the ViMaria Sonoma Coast Pinot Noir that pays homage to the family legacy and is a special barrel selection from the family’s estate vineyards. For more information, visit www.sangiacomowines.com. Willamette Valley Chamber Music Festival Now in its third season, this festival offers a one-of-a- kind cultural experience in Oregon wine country. Violinist and co-founder, Sasha Callahan, told me that winemakers are partnered with world-class chamber music in unique, intimate spaces, allowing audiences to experience the beauty and craft of extraordinary wine and music hand in hand After two sold-out seasons the festival is expanding this summer to three weekends of chamber music in Oregon wine country. Performances will be on Saturday and Sunday afternoons beginning Saturday, August 11 and closing Sunday, August 26. Concerts include works from pioneering female composes Joan Tower (composer-in-residence), Rebecca Clarke and Fanny Mendelssohn, plus pieces by Beethoven, Haydn, Schubert, Philip Glass and a string quintet by Oregon native Kenji Bunch. Four concerts will be held in the barrel room of J. Christopher Wines, and the festival will return to the gorgeous vista of Elk Cove Vineyards as well. Tickets and more details are available now at www.wvchambermusic.org. Next Gen Takes over McHenry Vineyard For years, I have enjoyed the wines crafted by Henry McHenry, proprietor and winemaker for McHenry Vineyard, located in the Bonny Doon sub-region of the Santa Cruz Mountains, and one of the oldest family-run estate wineries in the Santa Cruz Mountains AVA. Henry is a retired professor of anthropology at UC Davis (where he learned his winemaking skills) who, after 42 harvests, is turning over the winemaking and winegrowing duties to daughter Annalisa McHenry, son-in-law Brandon Blanchard and nephew Ian McHenry. The tiny production of McHenry Vineyard Pinot Noir comes from a 2.5- acre vineyard planted in the early 1990s to Pommard, Pinot 13, Dijon 115 and Swan selection. Winemaking at McHenry has always been old-fashioned and hands-on, using an old Italian crusher acquired in 1977, fermenting in 4x4 open-top vats, and finishing with the same basket press used for years. Even ordering the relatively inexpensive wines is old school using email or a phone number. The website is www.mchenryvineyard.com. 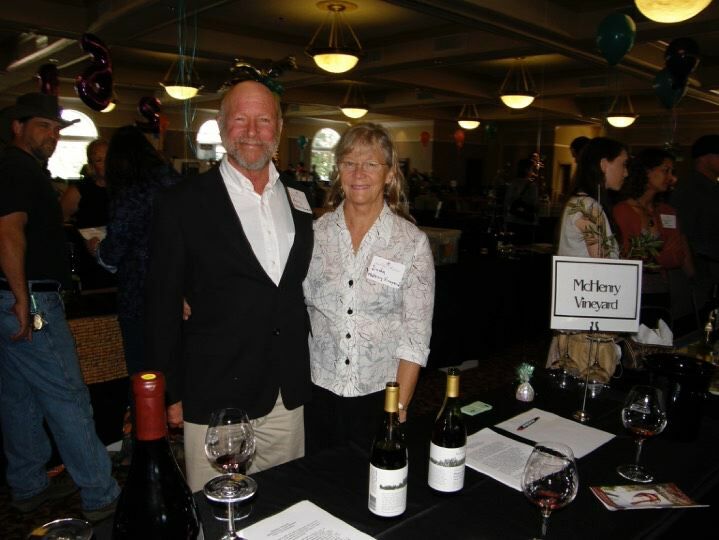 Read more about the transition at McHenry Vineyard in this published article: http://www.santacruzsentinel.com/article/NE/20171024/FEATURES/171029855. Banshee Wines Sold to Foley Family Wines Banshee Wines, based in Healdsburg, has had remarkable growth since releasing its first wines from the 2008 vintage. Banshee buys all of its grapes on contract and produces its wines at a custom crush facility. Production reached 50,000 cases of Banshee and its value-priced label Rickshaw by 2017. CEO Byron Ziegler, founder of Banshee Wines, was retained as chief executive officer. Pinot Noir from England? I was surprised to learn about the English Pinot Noir scene that has been gaining in quality and popularity in an article that appeared in Decanter online: http://www.decanter.com/wine-news/opinion/news-blogs-anson/english-pinot-noir-wine-quality-376204/. Pinot Noir is the second most planted variety in England at almost 800 acres, accounting for almost one quarter of total plantings. Most of the Pinot Noir is used for sparkling wines, but some still Pinot Noir is showing promise at the level of AOC Bourgogne Rouge wines. The Studio By Feast It Forward The Studio, a wine collective bringing together food, wine, design, art and music under one roof is opening in downtown Napa. 16 producers, most of which are from Napa Valley are involved. An exception is Inman Family Wines from the Russian River Valley. Owner Kathleen Inman actually grew up in Napa and her first winery job was at Kent Rasmussen Winery. 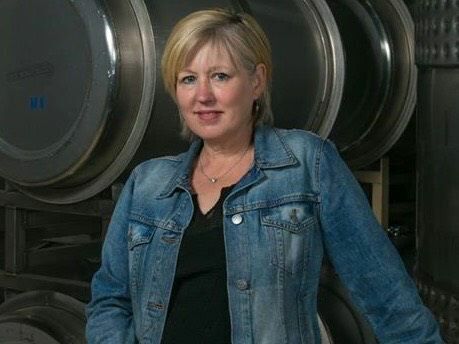 She and her spouse Simon founded Inman Family Winery in the Middle Reach of the Russian River Valley in 2000. Read more about Inman Family Winery, a stellar producer of Pinot Noir rosé, sparkling wines, Pinot Noir, Pinot Gris and Chardonnay: www.inmanfamilywines.com.